Ugbo is a very unique and fascinating Town. Located in the northern part of Awgu local Government of Enugu State, Ugbo is one of the towns in Enugu state that stands out among others. Ugbo is home of nature and culture and has one of the most attended cultural festival in Awgu and Enugu state at large. There are many reason to visit Ugbo but here are 7 reasons why you should visit Ugbo in August. 1. To witness Enugu State most Attended cultural festival, The Aju Festival ( Iwa Akwa). Aju Festival is a week long triennial cultural festival in ugbo, Enugu state which begins August. The Aju festival(Iwa-Akwa) is a ceremony where young men who has come of age are been initiated into manhood and given the opportunities to make their contributions in social cultural and political affairs of the community. No fewer than 200 youths will be participating in this year’s Aju Festival. The Aju Festival is indeed a colourful event which is fast becoming a major tourist attraction. The New Yam Festival is an annual cultural festival by the Igbo people held at the end of the rainy season between early August to October. Just like every other Igbo community, Ugbo community celebrates her new yam festival every August. The aim of the New Yam Festival is to officially present the newly harvested yams to God and the ancestors of the land. The festival is also an avenue to thank God for sustaining the life of the farmers, the indigenes of the land and the farm product (yam) through a successful planting season. Also Read: Ten most popular traditional festival celebrated in Igbo land. Ugbo as a community is situated on top of a hill and has a very unique landmark, one of the most beautiful landmark of ugbo are the hills and green area. For hikers who wish to explore and hike the beautiful hill and hillsides of ugbo. please like, ofesi, Nkume nshi, ezi ugwu and a whole to of other places are an ideal places to hike in ugbo. Ugbo unarguably has one of the most nutritious and sought after Abacha in Awgu and Enugu, Abacha and Ede are the most popular food of the people of Ugbo and Awgu. Abacha is one of the most nutritious and sought after meal in the Enugu, although it can be found in most big cities in Nigeria but there’s never a better place to eat the Abacha than in Enugu state where it originates from and Ugbo people knows how to prepare it better. 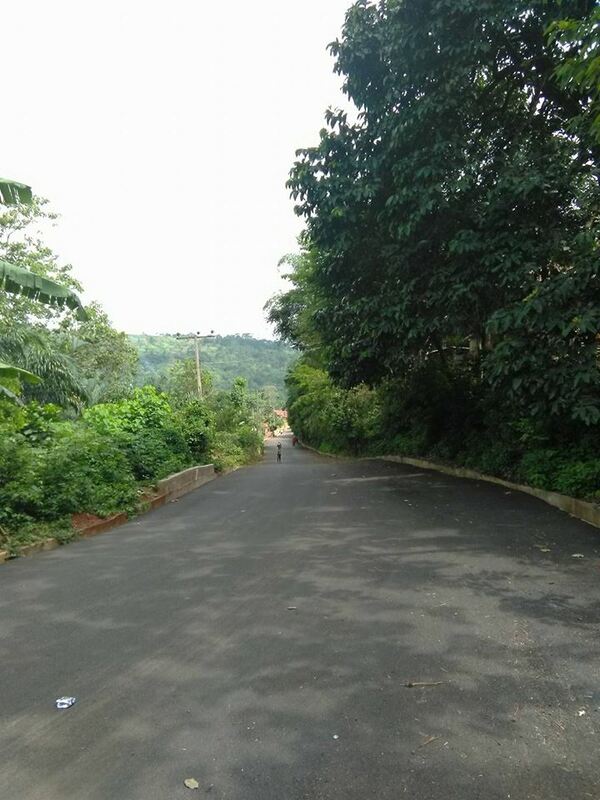 Ugbo is know with beautiful and breathtaking waters and streams, it is no doubt that these waters are one of the destinations that visitors in ugbo will not afford to miss because of it warmness and quietness. These waters and streams include the Ugbo dam, oji Oyibo, inemota, oji ngene, ogbakono, oji ugbo okpala, oji ugbonabo and others. Forest and wild life environment in Ugbo town includes Onu- ajanu, Ofia-umuaniegbera, Mgboko-ogba natural stone features, Nwa-ogbo water fall, Ukpoku-uhuogba-obeag­u wet land and Oshisi-okpo stream. The natural environment is really of aestatic value, cool, pleasant and a wonderful tourism/recreation centre. Within the forest environment, trees are formed in canopy layers, flowers, birds, squirrels and monkeys make the environment more absorbing. The sung of the birds and squirrels are so amusing that it soothes the nerves from stress in the natural environment. A visit to Ugbo wild will always convince the visitors/Tourists of what paradise looks like. The people of Ugbo are very welcoming, accommodating, polite, loving and cheerful. Ugbo people are of the Igbo ethnic group, Although the local speaks and understand the central Igbo language, the natives speaks ”Ugbo” their own native dialect of the Igbo language. it will be interesting meeting the people, learning their language and experiencing their culture. 5 Ideal Place To Hangout and have fun With your kids in Abuja this Christmas. I do believe I will have to visit Ugbo one day. The view of the jungle is beautiful and the culture seems really rich.